Originally built in Detroit in 1966, the Pintail has been a favorite for many years. A boat that rigs easily, launches with a minimum of effort and is easy to sail, depicts the excellent qualities inherent in all Pintails. These criteria have produced a family daysailer capable of carrying over a thousand pound load. The hull form necessary to accomplish this task is very full, with a generous amount of freeboard. These qualities of the Pintail's hull make her an exceptionally stable, dry boat not dependent upon a bailing system for the dryness of the interior. Some outstanding features that make the Pintail the boat for your family! The pintail is meant to serve a family through tile training period of its youngsters into tile golden years of relaxed sailing. It is built to take the punishment that exuberant young folks can dish out, and still remain as a source of enjoyment, The 20 plus years of Pintail production has produced several 2nd and even 3rd generation owners. We are amazed at the number of comments we receive at shows from the middle-aged sailors upon seeing the Pintail, "Gee, I learned to sail on that boat!" and "Yea, I know that boat. 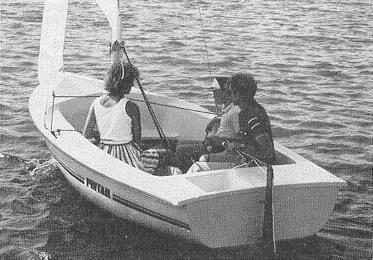 It's a great little sailboat!" Her simple rigging procedure may be easily mastered by one person. Easy to launch and recover, and above all easy to sail. The kick up centerboard with a simple pendant and cleat works fast and easy (no daggerboard to get stuck). Simple kick up rudder with pendant and cleat. 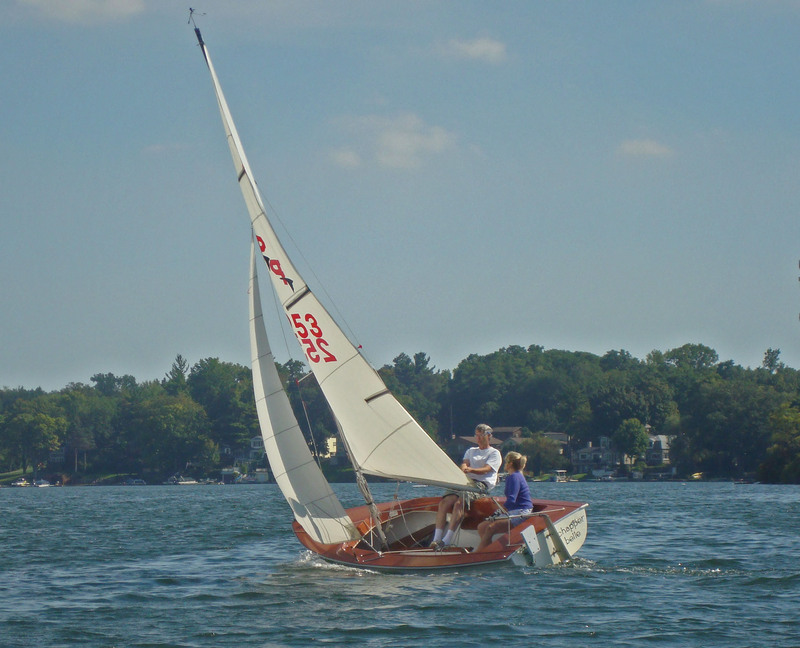 Adjust both rudder and centerboard for shallow water sailing with no drag. Upright sitting room for four adults with plenty of leg room and 10" of back support for us older fellows. Clearance under the boom for even a tall person (check photos). Wide coamings for the more adventuresome to sit on in a good breeze. Beautiful wooden tiller with a comfortable feel, just enough weatherhelm and never too much. Extra large dry storage area under foredeck adds to your convenience. Constructed to last with her bottom of cored fiberglass and extra reinforcement at all stress points. Galvanized steel centerboard and painted aluminum rudder blade on a rugged cast aluminum rudder stock and gudgeon plate with 1/2 inch pintles. Stainless steel hardware. You don't have to buy an expensive bracket for your small outboard it has a built in motor mount. More than one owner are very satisfied with an electric trolling motor and it moves it quite well. 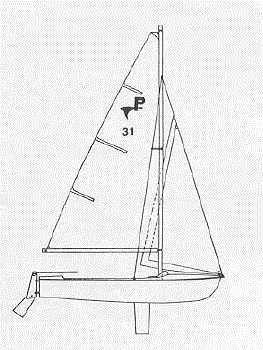 Want to discuss sailing or other issues related to the Pintail class of sailboats with other owners?